Rhetorical	velocity – Rhetorical velocity is, simply put, a strategic	approach to composing for rhetorical delivery. It is both a way of considering	delivery as a rhetorical mode, aligned with an understanding of how	texts work as a component of a strategy. In the inventive thinking of	composing, rhetorical velocity is the strategic theorizing for how a	text might be recomposed (and why it might be recomposed) by	third parties, and how this recomposing may be useful or not to the	short- or long-term rhetorical objectives of the rhetorician. In this	sense, the rhetorician weighs the positive and negative possibilities	of different types of textual appropriation against desired objectives: “If	I release the video in this format, could the video be used in this	way, and would it be worth their time to do this? And would	it be supportive of my objectives for them to do that?" And in this sense, the theorizing of the question of “is it worth the time to do this” calls into question a set of economic and material concerns. As a set of practices rhetorical velocity is, secondly, a term that describes an understanding of how the speed at which information composed to be recomposed travels—that is, it refers to the understanding and rapidity at which information is crafted, delivered, distributed, recomposed, redelivered, redistributed, etc., across physical and virtual networks and spaces. Thinking with rhetorical velocity in mind requires one to have an idea about the working conditions of the third party and what type of text it would be useful (or not) to provide: What document format should a file be sent in for certain types of future remixing? What resolution should images be released in if they are to be reprinted in a print publication? What level of quality and format should video be released in if it were to be cut up into additional tapes? What segments of these texts may be useful, and to whom, and for what sorts of media production? In each of these strategic questions rhetorical velocity requires on the part of rhetors a careful consideration of the future time (and particular moments) and place(s) of where, how, and potentially into what texts may be recomposed—and what this may mean. For example, the rhetorician may strategically consider these temporal elements: “What is the publication cycle of this newspaper? 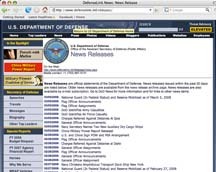 How long does the television station keep its video archives online? 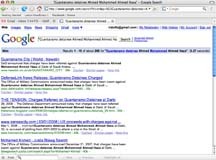 How long until Google indexes the mailing list archives?” as part of thinking with rhetorical velocity in mind. A classic example of composing with rhetorical velocity in mind is the press release—a mingling of boilerplate text and specific, deliberate, targeted text written to be used and often directly recomposed by local or national television stations, newspapers, or broadcast news. As the diagram below shows, in the theory and composing state rhetoricians may balance the future possibilities in terms of possible positive, negative, and neutral outcomes for recomposing, remixing, and appropriation. The rhetorician writing the press release may, for example, acquire institutional knowledge based on experiential outcomes between theory-composing and how anticipated future possibilities actually turned out. 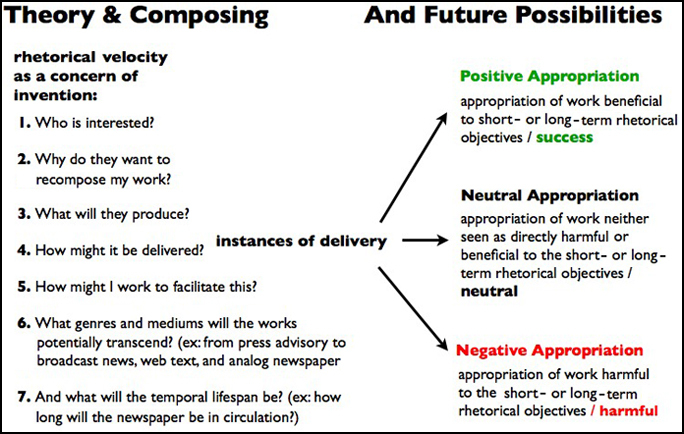 In this sense we highlight in the diagram the epistemic nature of composing with considerations of rhetorical velocity and highlight the knowledge production that is taking place between the theory and practice, particularly when contrasted between multiple strategies, experiences of rhetorical delivery, and composing with a sense of rhetorical velocity in mind. 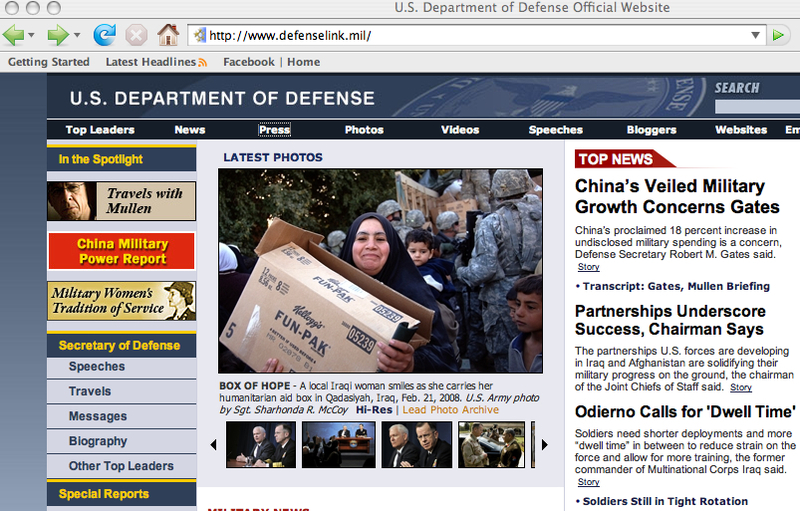 The main page for the U.S. Department of Defense web site. 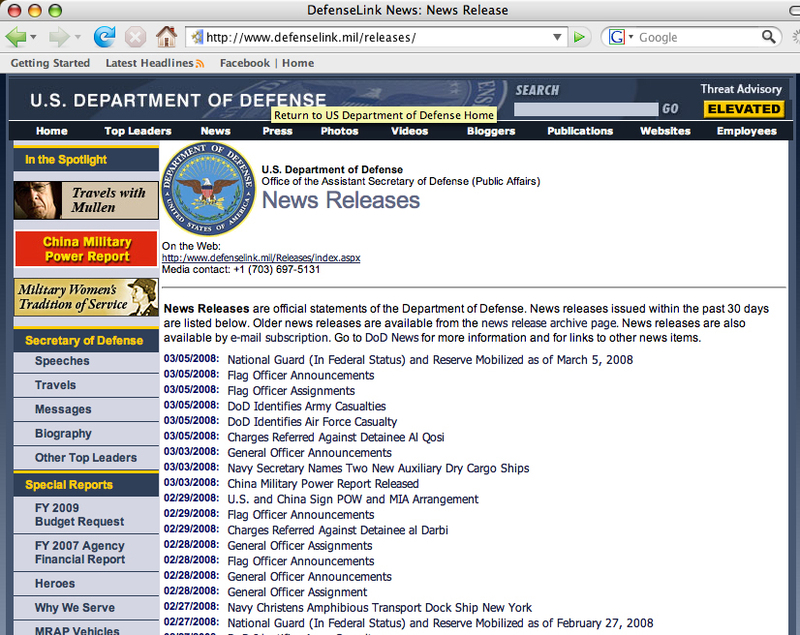 The main page for the “News Releases” area of the U.S. Department of Defense web site. 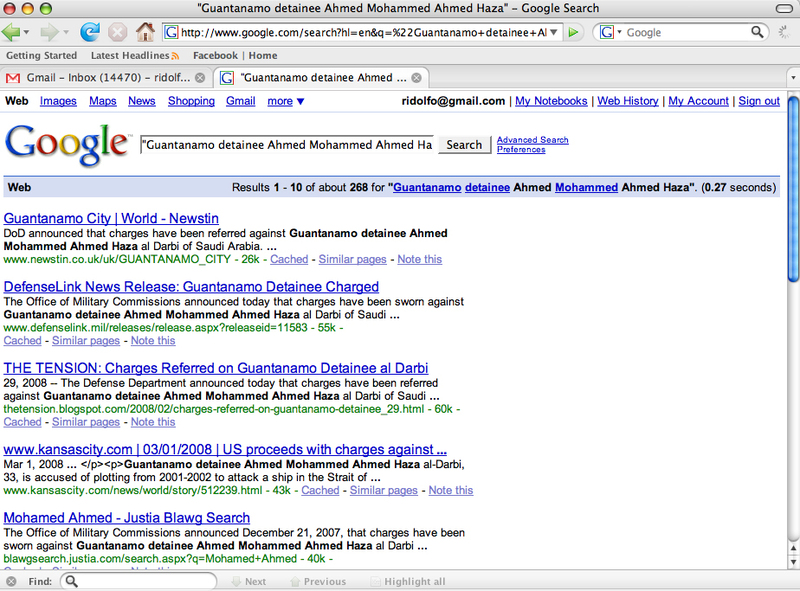 The results of a Google search of the detainee, using quotation marks to limit the search: “Ahmed Mohammed Ahmed Haza al Darbi of Saudi Arabia” (268 instances of that particular phrase found). 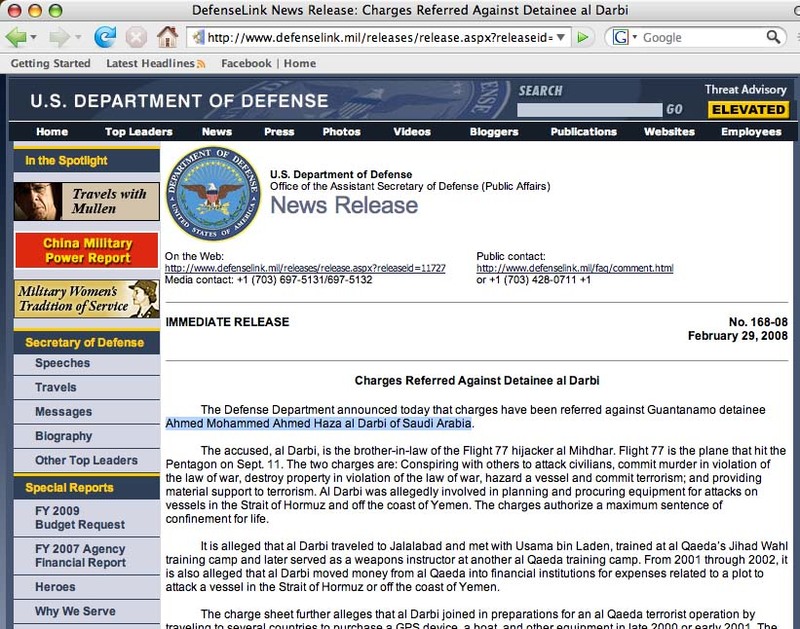 A story dated March 2, 2008, based on the original U.S. Department of Defense media release. 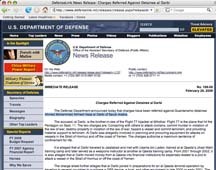 As we can see from this example, past text has been utilized for future instances of writing (not simply an RSS feed), based on the boilerplate text of the press advisory. This sort of analysis, which we discuss as an assignment in the next section, attempts to understand what has happened in instances of rhetorical delivery by initial authors and by third parties. We see this as also a knowledge-generating research approach to delivery, one where research questions may be discussed, examined, and addressed by analyzing the size, scope, and strategy of how texts are delivered. We do not know if the writers of the press advisory explicitly anticipated these particular instances of appropriation, but we think it is probable and certainly worth discussing the possibility. We think this strategizing is complimentary to the genre of the press advisory—the genre we have chosen for this webtext—to think in such ways. This one example is typical of how it is possible to learn how a process of rhetorical delivery occurs (and how delivery is knowledge-producing). 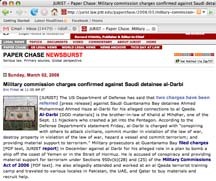 In the example above, this is evidenced by the textual interactions different news organizations have had with a particular press release. Further study could yield partial institutional patterns of rhetorical delivery, as well as forms and ranges for various types of appropriation, recomposition, and remixing by different composers, such as the interaction between the DefenseLink and blogs, web sites, and news agencies.